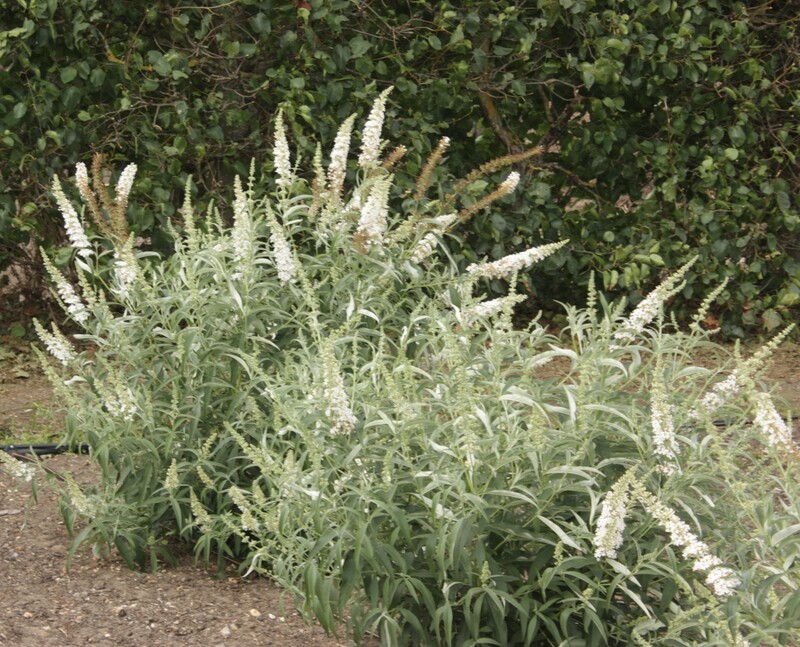 A deciduous shrub of open habit reaching 200-250cm (6-8ft) tall and nearly as wide. The leaves are very long and tapered dark green above with white felted undersides. 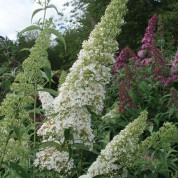 Flowers from July onwards, fragrant in short rounded clusters on long slender panicles. B. 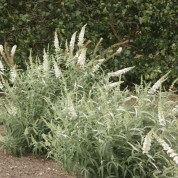 ‘White Bouquet’ is one of the oldest and maybe the best of the white flowered cultivars. We have only recently reintroduced into the collection at Longstock, so I can’t say if it is better than B. ‘White Profusion’ or B. ‘White Cloud’. 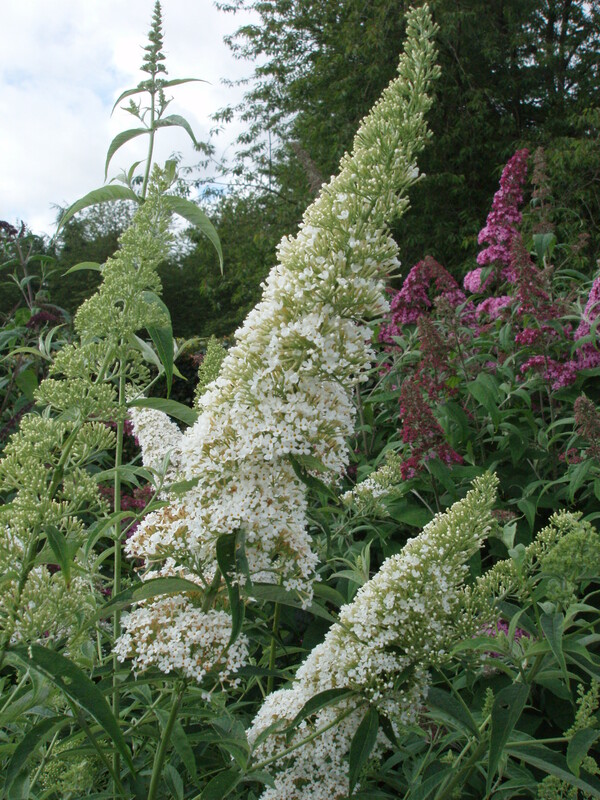 Buddleja davidii ‘White Bouquet’ is one of the older white cultivars, raised by Hungarian émigrée Sigmund Tarnok at his New Orleans nursery and patented in 1942.